AfricaCom 2014 – Cape Town, SA – November 11, 2014: Mahindra Comviva, the global leader in providing mobility solutions, announced the debut of connectMoney Service Manager through a landmark deal with Econet Wireless, Zimbabwe. As a part of the first live deployment of connectMoney Service Manager, Econet Wireless has issued MasterCard debit cards which are linked to the EcoCash Wallet. This is the largest rollout of secure EMV Chip and PIN payment cards in Zimbabwe. It is also the first time that MasterCard debit cards are available to consumers using mobile money services in Africa. 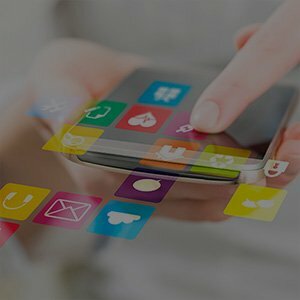 connectMoney Service Manager creates an industry benchmark for mobile money by connecting financial open systems powered by MasterCard and other card networks. EcoCash account holders will receive MasterCard debit cards allowing users to transact at POS terminals and also to withdraw cash via ATM machines accepting MasterCard, locally and internationally. connectMoney Service Manager also offers virtual cards on request. The virtual card number is delivered through an SMS, which is accepted for payments across all e-commerce websites. The virtual card is directly connected to the mobile money account of the subscriber. connectMoney Service Manager is a ‘platform agnostic’ offering, benefitting multiple customer groups. Consumers can now access a large network of physical and online merchants and pay via their mobile money accounts. With this offering, merchants will have the convenience of accepting payments from mobile money accounts and increase transactions while the service provider will witness an uptake in payments and enhanced revenues. connectMoney Service Manager is the latest offering from Mahindra Comviva, whose multi award-winning mobiquity® Money platform empowers over 50 service providers in more than 40 countries across the globe to build deeper consumer relationships by delivering innovative, consumer-centric financial services to banked as well as unbanked consumers. Econet Wireless is a pioneer in delivering mobile financial and payment services to the Zimbabwean society, and rolled out the country’s largest mobile money platform which now hosts 3.7 million users as at August 2014. EcoCash is also the second largest mobile money provider in Africa. EcoCash target segment is the majority of whom are unbanked. EcoCash facilitates customers with a multi-functional and secure account to receive salaries, transfer money domestically, receive international remittance, save money, borrow credit, buy airtime, pay utility bills and pay merchants. EcoCash is altering the financial landscape of Zimbabwe by promoting financial inclusion and impacting more than 57% of country’s adult population. More than 3.7million Zimbabweans use EcoCash and transactions valued at more than $5 billion are processed by the system annually. The service has become a dominant payment medium in Zimbabwe, processing transaction values equivalent to 43% of country’s GDP. By introducing convenient electronic payments instruments such as the EcoCash MasterCard debit card, EcoCash is reducing the economy’s dependence on cash.